A portrait miniature is a miniature portrait painting, usually executed in gouache, watercolour, or enamel. Portrait miniatures developed out of the techniques of the miniatures in illuminated manuscripts, and were popular among 16th-century elites, mainly in England and France, and spread across the rest of Europe from the middle of the 18th-century, remaining highly popular until the development of daguerreotypes and photography in the mid-19th century. They were especially valuable in introducing people to each other over distances; a nobleman proposing the marriage of his daughter might send a courier with her portrait to visit potential suitors. Soldiers and sailors might carry miniatures of their loved ones while traveling, or a wife might keep one of her husband while he was away. The first miniaturists used watercolour to paint on stretched vellum. 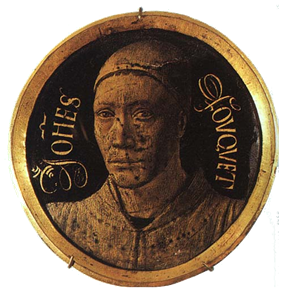 During the second half of the 17th century, vitreous enamel painted on copper became increasingly popular, especially in France. In the 18th century, miniatures were painted with watercolour on ivory, which had now become relatively cheap. 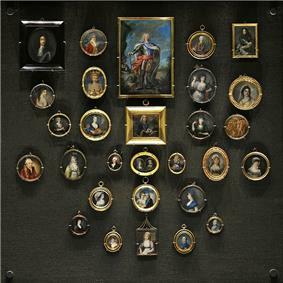 As small in size as 40 mm × 30 mm, portrait miniatures were often used as personal mementos or as jewellery or snuff box covers. The earliest French miniature painters were Marschal de Brissac. Following these men we find Simon Renard de St. André (1613–1677), and Jean Cotelle. Others whose names might be mentioned were Joseph Werner (1637–1710), and Rosalba Carriera (1675–1757). 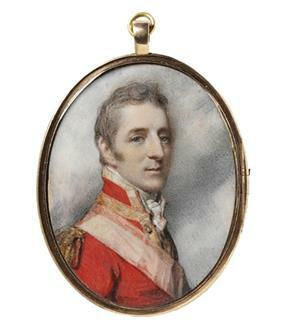 Other miniaturists at about the same date included James FitzJames, 1st Duke of Berwick. Andrew Plimer (1763–1837) was a pupil of Cosway, and both he and his brother Nathaniel Plimer produced some lovely portraits. The brightness of the eyes, wiriness of the hair, exuberance of colour, combined with forced chiaroscuro and often very inaccurate drawing, are characteristics of Andrew Plimer's work. John Smart (c1740–1811) was in some respects the greatest of the 18th century miniaturists. His work excelled in refinement, power and delicacy; its silky texture and elaborate finish, and the artists love for a brown background, distinguish it. Other notable painters were Richard Crosse (1742–1810), Ozias Humphry (1742–1810), Samuel Shelley (c1750–1808), whose best pictures are groups of two or more persons, Henry Edridge (1769–1821), John Bogle, and Edward Dayes. In the 19th century Dante Gabriel Rossetti. Towards the end of the 19th century came a revival of miniature painting, but without producing any masters of the same calibre. Although the popularity of small portraiture began to decline in the 20th century, some artists continued to accept commissions, among them Eda Nemoede Casterton, who was selected to show her work in the prestigious Paris Salon. Nemoede Casterton used thin sheets of ivory rather than canvas for her paintings, a common practice among miniature portraitists. The most celebrated contemporary English portrait miniature painter is Elizabeth R Meek, MBE, HPRMS, PPSWA, FRSA (born 1953), whose sitters include His Royal Highness The Prince of Wales and HRH Princess Michael of Kent. He contributed miniatures to the Society of Artists in Dublin from 1765 to 1773. Shortly before his death he moved to Cork Hill, Dublin, and there died on 16 December, 1775, aged 36. He was buried on 18 December at St. Werburgh's Church, Dublin. 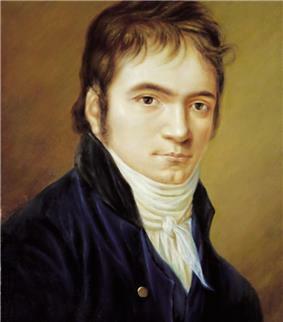 ^ "Ludwig Van Beethoven". Art Experts, Inc. Retrieved 2010-08-02. ^ McCormick, Mike (1997). "Amalia Kussner Coudert". Wabash Valley Profiles. Retrieved 10 March 2011. Foskett, Daphne (1987). Miniatures: Dictionary and Guide. London: Antique Collectors' Club. Coombs, Katherine (1998). 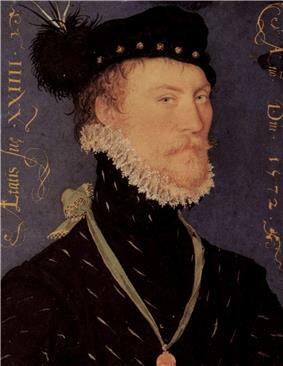 The Portrait Miniature in England. London: Victoria and Albert Museum. 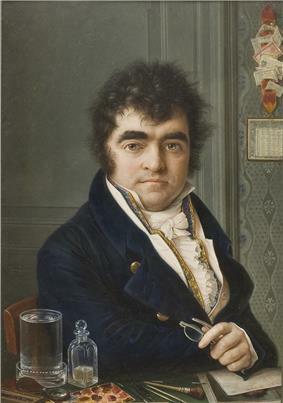 "The Origin of the Portrait Miniature". Paintings & Drawings.